I never developed good eating habits or had any sense of portion size as I was always thin as a child and young adult. After gaining weight in my 30s & 40s, I tried everything – Weight Watchers, Jenny Craig, diet meal delivery services, fasting… I had trouble sticking to it and the weight loss was too slow and/or little to even measure. Nothing was sustainable or easy to manage or even fit into daily life. The decision to go to Dr. Chhabra’s Medical weight loss program New Jersey was the best decision I’ve made in a long time. 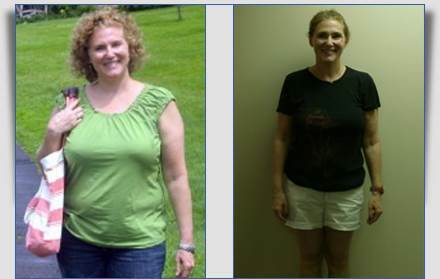 She and her staff were incredibly supportive and knowledgeable about the weight loss and optifast process. The message is really not only about losing weight but changing the way you eat and live so that you are not constantly dieting. Dr. Chhabra is not only kind and compassionate but is incredibly well informed about every aspect of the process. She gave me so much information about specifics such as calories in & out and exercise, and also what kind of foods are better, keep you satisfied and how metabolism contributes to weight loss. Everything was completely personalized and made all the difference between using a commercial weight loss program and her approach. It fit into my schedule and day to day life so that I didn’t have to fit my life around dieting. I’ve never felt better, I’m not hungry, I’m sleeping better, and so far I’ve been able to continue following her recommendations. The decision to go to Dr. Anjana Chhabra’s Medical weight loss program New Jersey was the best decision I've made in a long time.